When Testify and National Praise and Worship Institute director Mark Hosny was asked if a few students would be willing to record group background vocals for Meredith Andrews’ latest album, he knew that it wasn’t a coincidence. “It was a God thing,” Hosny said. 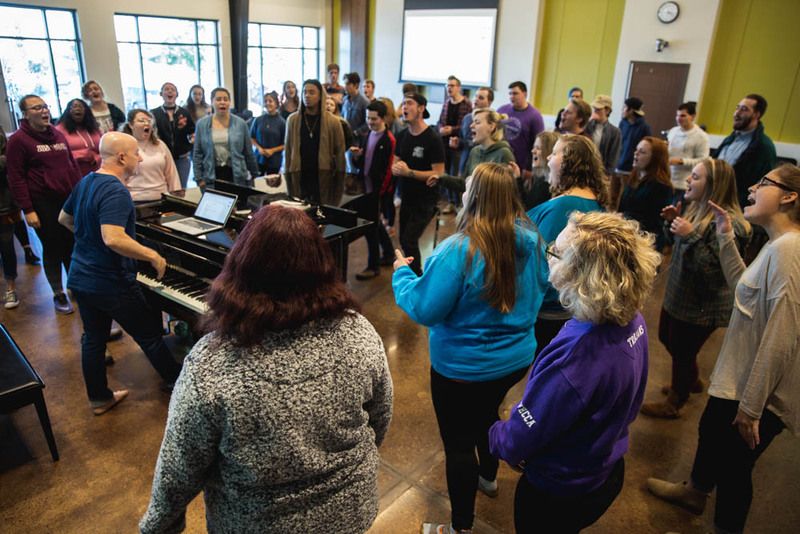 According to Hosny, the opportunity for Trevecca students to be a part of Andrews’ upcoming album originated with Benji Cowart, a singer-songwriter and former NPWI adjunct professor. Cowart works closely with Jacob Sooter, Meredith Andrews’ husband, co-writer, and producer. When Sooter needed a group to sing background vocals on the album, Cowart recommended Trevecca’s gospel choir, Testify. Hosny says the group was excited to participate in the recording. About 18 Trevecca students participated in the recording. Andrews is hoping for a different feel for the upcoming album, Hosny said, and wanted to include congregational singing. The album—no release date has been announced—will be Andrews’ seventh. Hosny and his students recorded their vocals in Andrews’ private studio in her Nashville home. Students weren’t quite sure what to expect—and surprised to find out that their vocals would be included on almost every track. Hosny said he was proud of his students’ efforts in the studio—and he wasn’t the only one. In the end, Hosny and his students are grateful for the opportunity to reach a wider audience.